Recycling your iron and other scrap metals at our Atlanta scrap yard. Do you have old iron taking up space at your home? Need to get rid of that unused iron at your work site or company? Bring your metal recycling into North Fulton Metals, the best scrap yard in Atlanta, to clear up space and get paid for your scrap metals. Contact us to set up an appointment, or stop by our Atlanta scrap yard to get a free estimate for your scrap metal. Why Use Our Scrap Yard? When you’re looking for iron recycling in Atlanta and you want the best return for your scrap metal recycling, be sure to go to the best scrap yard in the city at North Fulton Metals. Whether you’re looking to get rid of an old bed frame or some scrap iron from your construction site, North Fulton will pay you for your iron recycling. Keep reading to see what kind of other metals we accept at our scrap yard, or contact North Fulton today to set up your appointment. 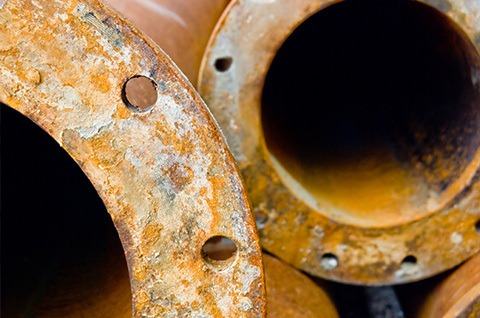 From old copper pipes to unused copper wiring, chances are you have a fair amount of copper recycling at your Atlanta area home or office that you don’t need anymore. Get paid for your copper recycling by bringing it into North Fulton Metals. Have a bag full of aluminum cans, or some unusable aluminum window frames? Bring your aluminium recycling into North Fulton Metals and get paid for your unwanted aluminum. We’ll give you the best return for your scrap metal recycling. One of the most common metals on the planet, steel can be found in homes, worksites, or offices around the world. Drop off your steel recycling at North Fulton Metals, and get paid to get rid of your unwanted steel. When you need to get rid of your scrap iron, scrap metal, or unwanted electronics, be sure to bring your scrap into our Atlanta scrap yard. Contact North Fulton Metals to schedule your appointment today, and get a free quote for your scrap metal.